The school recognizes its responsibility in regard to the collection, maintenance and dissemination of pupil records and the protection of the privacy rights of students as provided in federal law and state statutes. The following procedures and policies regarding the protection and privacy of parents and students are adopted by the school , pursuant to the requirements of 20 U.S.C. §1232g, et seq., (Family Educational Rights and Privacy Act) 34 C.F.R. Part 99 and consistent with the requirements of the Minnesota Government Data Practices Act, Minn. Stat. Ch. 13, and Minn. Rules Parts 1205.0100-1205.2000. Date of attendance, as referred to in Directory Information, means the period of time during which a student attends or attended a school or schools in the school . The term does not include specific daily records of a student’s attendance at a school or schools in the school . is pursuing a full-time course of instructional on-farm training under the supervision of an accredited agent of an educational institution or of a state or political subdivision of the state. “Directory information” means information contained in an education record of a student which would not generally be considered harmful or an invasion of privacy if disclosed. It includes, but is not limited to: the student’s name, address, telephone listing, electronic mail address, photograph, date and place of birth, major field of study, dates of attendance, grade level, enrollment status (i.e. full-time or part-time), participation in officially recognized activities and sports, weight and height of members of athletic teams, degrees, honors and awards received, and the most recent educational agency or institution attended. It also includes the name, address and telephone number of the student’s parent(s). Directory information does not include personally identifiable data which references religion, race, color, social position or nationality. What constitutes “education records”. Education records means those records which: (1) are directly related to a student; and (2) are maintained by the school or by a party acting for the school . However, these provisions shall not apply to records relating to an individual in attendance at the school who is employed as a result of his or her status as a student. (3) disclosed only to individuals providing the treatment; provided that the records can be personally reviewed by a physician or other appropriate professional of the student’s choice. For the purpose of this definition, “treatment” does not include remedial educational activities or activities that are a part of the program of instruction within the school . e. Records that only contain information about an individual after he or she is no longer a student at the school . Perform a service or benefit for the student or the student’s family such as health care, counseling, student job placement or student financial aid. “Parent” means a parent of a student and includes a natural parent, a guardian, or an individual acting as a parent of the student in the absence of a parent or guardian. The school may presume the parent has the authority to exercise the rights provided herein, unless it has been provided with evidence that there is a state law or court order governing such matters as marriage dissolution, separation or child custody, or a legally binding instrument which provides to the contrary. “Personally identifiable” means that the data or information includes, but is not limited to: (a) a student’s name; (b) the name of the student’s parent or other family member; (c) the address of the student or student’s family; (d) a personal identifier such as the student’s social security number or student number; (e) a list of personal characteristics that would make the student’s identity easily traceable; or (f) other information that would make the student’s identity easily traceable. “Record” means any information or data recorded in any way including, but not limited to, handwriting, print, computer media, video or audio tape, film, microfilm and microfiche. “Student” includes any individual who is or has been in attendance, enrolled or registered at the school and regarding whom the school maintains education records. Student also includes applicants for enrollment or registration at the school , and individuals who receive shared time educational services from the school . “School official” includes: (a) a person duly elected to the school board; (b) a person employed by the school board in an administrative, supervisory, instructional or other professional position; (c) a person employed by the school board as a temporary substitute in a professional position for the period of his or her performance as a substitute; and (d) a person employed by, or under contract to, the school board to perform a special task such as a secretary, a clerk, as public information officer or data practices compliance official, an attorney or an auditor for the period of his or her performance as an employee or contractor. 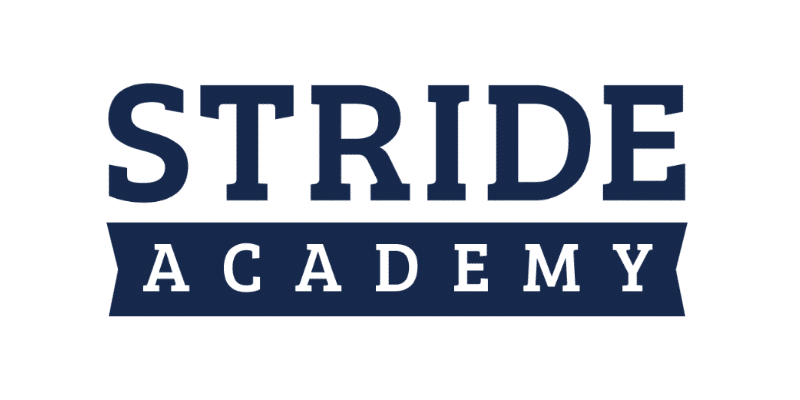 STRIDE Academy has formally adopted a school record retention schedule which has been approved by the Records Disposition Panel. State law provides that all data collected, created, received or maintained by a school are public unless classified by state or federal law as not public or private or confidential. State law classifies all data on individuals maintained by a school which relates to a student as private data on individuals. This data may not be disclosed to parties other than the parent or eligible student without consent, except pursuant to a valid court order, certain state statutes authorizing access, and the provisions of 20 U.S.C. §1232g and the regulations promulgated thereunder. The right to obtain a copy of this policy at the location set forth in the COPIES OF POLICY section of this policy. All rights and protections given parents under this policy transfer to the student when he or she reaches eighteen (18) years of age or enrolls in an institution of post-secondary education. The student then becomes an “eligible student.” However, the parents of an eligible student who is also a “dependent student” are entitled to gain access to the educational records of such student without first obtaining the consent of the student. The school shall obtain a signed and dated written consent of the parent of a student or the eligible student before disclosing personally identifiable information from the education records of the student, except as provided herein. d. if appropriate, a termination date for the consent. b. if the parent of a student who is not an eligible student so requests, the school shall provide the student with a copy of the records disclosed. g. specific as to its expiration date which should be within a reasonable time, not to exceed one year except in the case of authorizations given in connection with applications for (i) life insurance or noncancellable or guaranteed renewable health insurance and identified as such, two years after the date of the policy, or (ii) medical assistance under Minn. Stat. Ch. 256B or Minnesota Care under Minn. Stat. Ch. 256L, which shall be ongoing during all terms of eligibility, for individualized education program health-related services provided by a school that are subject to third party reimbursement. To organizations conducting studies for or on behalf of educational agencies or institutions for the purpose of developing, validating or administering predictive tests, administering student aid programs or improving instruction; provided that the studies are conducted in a manner which does not permit the personal identification of parents or students by individuals other than representatives of the organization and the information is destroyed when no longer needed for the purposes for which the study was conducted. For purposes of this provision, the term “organizations” includes, but is not limited to, federal, state and local agencies and independent organizations. In the event the Department of Education determines that a third party outside of the school to whom information is disclosed violates this provision, the school may not allow that third party access to personally identifiable information from education records for at least five years. To comply with a judicial order or lawfully issued subpoena, provided, however, that the school makes a reasonable effort to notify the parent or eligible student of the order or subpoena in advance of compliance therewith so that the parent or eligible student may seek protective action, unless the disclosure is in compliance with a federal grand jury subpoena, or any other subpoena issued for law enforcement purposes, and the court or other issuing agency has ordered that the existence or the contents of the subpoena or the information furnished in response to the subpoena not be disclosed. In addition, if the school initiates legal action against a parent or student it may disclose to the court, without a court order or subpoena, the education records of the student that are relevant for the school to proceed with the legal action as plaintiff. Also, if a parent or eligible student initiates a legal action against the school, the school may disclose to the court, without a court order or subpoena, the student’s education records that are relevant for the school to defend itself. b. the existence of the following information about a student, not the actual data or other information contained in the student’s educational record, may be disclosed provided that a request for access must be submitted on the statutory form and it must contain an explanation of why access to the information is necessary to serve the student: (1) use of a controlled substance, alcohol, or tobacco; (2) assaultive or threatening conduct that could result in dismissal from school under the Pupil Fair Dismissal Act; (3) possession or use of weapons or look-alike weapons; (4) theft; or (5) vandalism or other damage to property. Prior to releasing this information, the principal or chief administrative officer of a school who receives such a request must, to the extent permitted by federal law, notify the student’s parent or guardian by certified mail of the request to disclose information. If the student’s parent or guardian notifies the school official of an objection to the disclosure within ten (10) days of receiving certified notice, the school official must not disclose the information and instead must inform the requesting member of the juvenile justice system of the objection. If no objection from the parent or guardian is received within fourteen (14) days, the school official must respond to the request for information. The written requests of the juvenile justice system member(s), as well as a record of any release, must be maintained in the student’s file. To the principal where the student attends and to any counselor directly supervising or reporting on the behavior or progress of the student if it is information from a disposition order received by a Principal under Minn. Stat. § 260B.171, Subd. 3. The principal must notify the counselor immediately and must place the disposition order in the student’s permanent education record. The principal also must notify immediately any teacher or administrator who directly supervises or reports on the behavior or progress of the student whom the principal believes needs the information to work with the student in an appropriate manner, to avoid being needlessly vulnerable, or to protect other persons from needless vulnerability. The principal may also notify other school employees, substitutes, and volunteers who are in direct contact with the student if the principal determines that these individual need the information to work with the student in an appropriate manner, to avoid being needlessly vulnerable, or to protect other persons from needless vulnerability. Such notices from the principal must identify the student, outline the offense, and describe any conditions of probation about which the school must provide information if this information is provided in the disposition order. Disposition order information received is private educational data received for the limited purpose of serving the educational needs of the student and protecting students and staff. The information may not be further disseminated by the counselor, teacher, administrator, staff member, substitute, or volunteer except as necessary to serve the student, to protect students and staff, or as otherwise required by law, and only to the student or the student’s parent or guardian. To the principal where the student attends if it is information from a peace officer’s record of children received by the Director under Minn. Stat. § 260B.171, Subd. 5. The principal must place the information in the student’s educational record. The principal also must notify immediately any teacher, counselor, or administrator directly supervising the student whom the principal believes needs the information to work with the student in an appropriate manner, to avoid being needlessly vulnerable, or to protect other persons from needless vulnerability. The principal may also notify other employees, substitutes, and volunteers who are in direct contact with the student if the principal determines that these individuals need the information to work with the student in an appropriate manner, to avoid being needlessly vulnerable, or to protect other persons from needless vulnerability. Such notices from the principal must identify the student and describe the alleged offense if this information is provided in the peace officer’s notice. Peace officer’s record information received is private educational data received for the limited purpose of serving the educational needs of the student and protecting students and staff. The information must not be further disseminated by the counselor, teacher administrator, staff member, substitute, or volunteer except to communicate with the student or the student’s parent or guardian as necessary to serve the student, to protect students and staff, or as otherwise required by law. The principal must delete the peace officer’s record from the student’s educational record, destroy the data, and make reasonable efforts to notify any teacher, counselor, staff member, administrator, substitute, or volunteer who received information from the peace officer’s record if the county attorney determines not to proceed with a petition or directs the student into a diversion or mediation program or if a juvenile court makes a decision on a petition and the county attorney or juvenile court notifies the Principal of such action. Unless a former student affirmatively opted out of the release of directory information in his or her last year of attendance, the school may disclose directory information from the education records generated by it regarding the former student without meeting the requirements of Paragraph C. of this section. In addition, under an explicit exclusion from the definition of an “education record,” the school may release records that only contain information about an individual obtained after he or she is no longer a student at the school . c. the period of time in which a parent or eligible student has to notify the school in writing that he or she does not want any or all of those types of information about the student and/or the parent designated as directory information. Allow a reasonable period of time after such notice has been given for a parent or eligible student to inform the school , in writing, that any or all of the information so designated should not be disclosed without the parent’s or eligible student’s prior written consent, except as provided in the DISCLOSURE OF EDUCATION RECORDS section of this policy. For the purposes herein, education records are records which are classified as private data on individuals by state law and which are accessible only to the student who is the subject of the data and the student’s parent if the student is not an eligible student. The school may not disclose private records or their contents except as summary data, or except as provided in the DISCLOSURE OF EDUCATION RECORDS section of this policy, without the prior written consent of the parent or the eligible student. In certain cases state law intends, and clearly provides, that certain information contained in the education records of the school pertaining to a student be accessible to the student alone, and to the parent only under special circumstances, if at all. e. whether the data concerns medical, dental or other health services provided pursuant to Minn. Stat. §§ 144.341- 144.347, in which case the data may be released only if the failure to inform the parent would seriously jeopardize the health of the minor. Pursuant to Minn. Stat. § 626.556, reports pertaining to a neglected and/or physically and/or sexually abused child shall be accessible only to the appropriate welfare and law enforcement agencies. In respect to other parties, such data shall be confidential and will not be made available to the parent or the subject individual by the school . The subject individual, however, may obtain a copy of the report from either the local welfare agency, county sheriff or the local police department subject to the provisions of Minn. Stat. § 626.556, Subd. 11. Data collected by the school as part of an active investigation undertaken for the purpose of the commencement or defense of pending civil legal action, or which are retained in anticipation of a pending civil legal action are classified as protected nonpublic data in the case of data not on individuals, and confidential data in the case of data on individuals. The school may make any data classified as protected non-public or confidential pursuant to this subdivision accessible to any person, agency or the public if the school determines that such access will aid the law enforcement process, promote public health or safety, or dispel widespread rumor or unrest. A complainant has access to a statement he or she provided to the school . A “pending civil legal action” for purposes of this subdivision is defined as including, but not limited to, judicial, administrative or arbitration proceedings. At a reasonable time prior to any exclusion or expulsion hearing, the student and the student’s parent or guardian or representative shall be given access to all school records pertaining to the student, including any tests or reports upon which the action proposed by the school may be based, pursuant to the Minnesota Pupil Fair Dismissal Act, Minn. Stat. § 121A.40, et seq. Consistent with the requirements herein, the school may only disclose personally identifiable information from the education records of a student on the condition that the party to whom the information is to be disclosed will not disclose the information to any other party without the prior written consent of the parent of the student or the eligible student, except that the officers, employees and agents of any party receiving personally identifiable information under this section may use the information, but only for the purposes for which the disclosure was made. b. The school has complied with the record-keeping requirements of the RESPONSIBLE AUTHORITY; RECORD SECURITY; AND RECORD KEEPING section of this policy. Subdivision A. of this section does not apply to disclosures made pursuant to court orders or lawfully issued subpoenas or litigation, to disclosures of directory information, to disclosures to a parent or student, or to parents of dependent students. The information disclosed shall retain the same classification in the hands of the party receiving it as it had in the hands of the school . The school shall, except for disclosures made pursuant to court orders or lawfully issued subpoenas, disclosure of directory information under the RELEASE OF DIRECTORY INFORMATION section of this policy, or disclosures to a parent or student, the school shall inform the party to whom a disclosure is made of the requirements set forth in this section. In the event that the Family Policy Compliance Office determines that a third party improperly rediscloses personally identifiable information from education records, the educational agency or institution may not allow that third party access to personally identifiable information from education records for at least five years. The director of each school subject to the supervision and control of the responsible authority shall be the records manager of the school, and shall have the duty of maintaining and securing the privacy and/or confidentiality of student records. The responsible authority shall review the plans submitted pursuant to Paragraph C. of this section for compliance with the law, this policy and the various administrative policies of the school. The responsible authority shall then promulgate a chart incorporating the provisions of Paragraph C. which shall be attached to and become a part of this policy. b. the legitimate interests under the DISCLOSURE OF EDUCATION RECORDS section of this policy which each of the additional parties has in requesting or obtaining the information. Paragraph (1) of Record Keeping does not apply to requests by or disclosure to a parent of a student or an eligible student, disclosures pursuant to the written consent of a parent of a student or an eligible student, requests by or disclosures to other school officials under Paragraph B.1 of the DISCLOSURE OF EDUCATION RECORDS section of this policy, to requests for disclosures of directory information under the RELEASE OF DIRECTORY INFORMATION section of this policy, or to a party seeking or receiving the records as directed by a Federal grand jury or other law enforcement subpoena and the issuing court or agency has ordered that the existence or the contents of the subpoena or the information provided in response to the subpoena not be disclosed. c. the parties authorized by law to audit the record-keeping procedures of the school . The record of requests and disclosures shall be maintained with the education records of the student as long as the school maintains the student’s education records. The school shall permit the parent of a student, an eligible student or the parent of an eligible student who is also a dependent student who is or has been in attendance in the school to inspect or review the education records of the student, except those records which are made confidential by state or federal law or as otherwise provided in the DISCLOSURE OF PRIVATE RECORDS section of this policy. The school shall respond to any request pursuant to Subdivision A. of this section immediately, if possible, or within ten (10) days of the date of the request, excluding Saturdays, Sundays and legal holidays. If circumstances effectively prevent the parent or eligible student from exercising the right to inspect and review the education records, the school shall provide the parent or eligible student with a copy of the records requested, or make other arrangements for the parent or eligible student to inspect and review the requested records. Parents or eligible students shall submit to the school a written request to inspect education records which identify as precisely as possible the record or records he or she wishes to inspect. If a student’s education records are maintained in more than one location, the responsible authority may collect copies of the records or the records themselves from the various locations so they may be inspected at one site. However, if the parent or eligible student wishes to inspect these records where they are maintained, the school shall attempt to accommodate those wishes. The parent or eligible student shall be notified of the time and place where the records may be inspected. The school may presume that either parent of the student has authority to inspect or review the education records of a student unless the school has been provided with evidence that there is a legally binding instrument or a state law or court order governing such matters as marriage dissolution, separation or custody which provides to the contrary. If 100 or fewer pages of black and white, letter or legal size paper copies are requested, actual costs shall not be used, and, instead, the charge shall be 25 cents for each page copied. The cost of providing copies shall be borne by the parent or eligible student. The responsible authority, however, may not impose a fee for a copy of an education record made for a parent or eligible student if doing so would effectively prevent the parent or eligible student from exercising their right to inspect or review the student’s education records. The parent of a student or an eligible student who believes that information contained in the education records of the student is inaccurate, misleading or violates the privacy or other rights of the student may request that the school amend those records. The request shall be in writing, shall identify the item the requestor believes to be inaccurate, misleading or in violation of the privacy or other rights of the student, shall state the reason for this belief, and shall specify the correction the requestor wishes the school to make. The request shall be signed and dated by the requestor. The school shall decide whether to amend the education records of the student in accordance with the request within a reasonable period of time after receiving the request. If the school decides to refuse to amend the education records of the student in accordance with the request, it shall inform the parent of the student or the eligible student of the refusal and advise the parent or eligible student of the right to a hearing under Subdivision B. of this section. If the school refuses to amend the education records of a student, the school , on request, shall provide an opportunity for a hearing in order to challenge the content of the student’s education records to ensure that information in the education records of the student is not inaccurate, misleading, or otherwise in violation of the privacy or other rights of the student. A hearing shall be conducted in accordance with Subdivision C. of this section. If, as a result of the hearing, the school decides that the information is inaccurate, misleading, or otherwise in violation of the privacy or other rights of the student, it shall amend the education records of the student accordingly and so inform the parent of the student or the eligible student in writing. If, as a result of the hearing, the school decides that the information is not inaccurate, misleading, or otherwise in violation of the privacy or other rights of the student, it shall inform the parent or eligible student of the right to place a statement in the record commenting on the contested information in the record or stating why he or she disagrees with the decision of the school , or both. b. if the education records of the student or the contested portion thereof is disclosed by the school to any party, the explanation shall also be disclosed to that party. The hearing shall be held within a reasonable period of time after the school has received the request, and the parent of the student or the eligible student shall be given notice of the date, place and time reasonably in advance of the hearing. The hearing may be conducted by any individual, including an official of the school who does not have a direct interest in the outcome of the hearing. The school board attorney shall be in attendance to present the school board’s position and advise the designated hearing officer on legal and evidentiary matters. The school shall make a decision in writing within a reasonable period of time after the conclusion of the hearing. The decision shall be based solely on evidence presented at the hearing and shall include a summary of evidence and reasons for the decision. The final decision of the designated hearing officer may be appealed in accordance with the applicable provisions of the Minn. Stat. Ch. 14 relating to contested cases. Complaints regarding alleged violations of rights accorded parents and eligible students by 20 U.S.C. §1232g, and the rules promulgated thereunder, shall be submitted in writing to the Family Policy Compliance Office, U.S. Department of Education, 400 Maryland Avenue, S.W., Washington, D.C. 20202-4605. A complaint filed pursuant to this section must contain specific allegations of fact giving reasonable cause to believe that a violation of 20 U.S.C. §1232g and the rules promulgated thereunder has occurred. A parent or eligible student may waive any of his or her rights provided herein pursuant to 20 U.S.C. §1232g. A waiver shall not be valid unless in writing and signed by the parent or eligible student. The school may not require such a waiver. That the school forwards education records on request to a school in which a student seeks or intends to enroll including suspension and expulsion records pursuant to the federal No Child Left Behind Act and, if applicable, a student’s history of violent behavior. The school shall provide for the need to effectively notify parents of students identified as having a primary or home language other than English. The school shall provide for the need to effectively notify parents or eligible students identified as disabled. Destruction and retention of records by the school shall be controlled by state and federal law. Copies of this policy may be obtained by parents and eligible students at the office of the Principal.